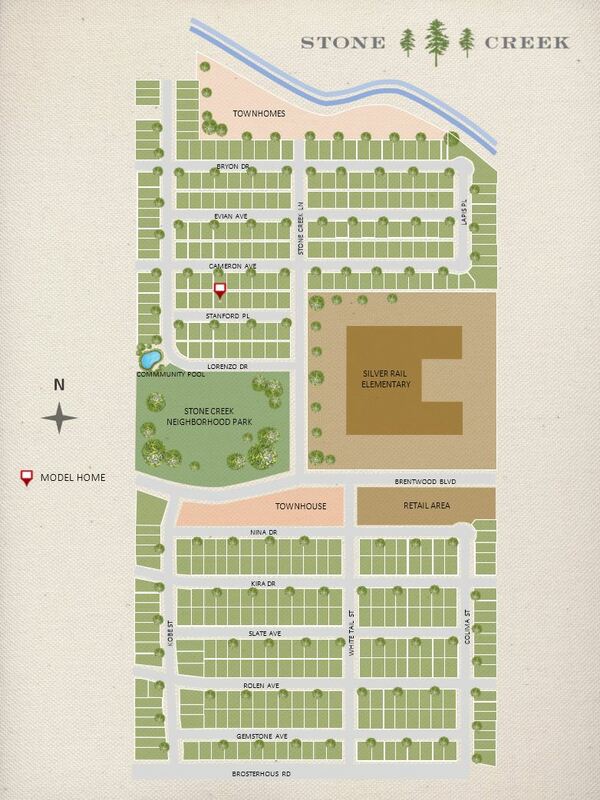 Stone Creek is a master planned community located in the heart of southeast Bend. Being just minutes from the mountains, rivers, and lakes makes your outdoor lifestyle easily accessible. Our focus for Stone Creek is to center our designs around a large master suite and efficient floor plans. A future development which includes 2.5 acres of commercial space will be a highlight of the community. This area will house coffee shops, restaurants, and other small businesses. To top it off we will include luxury apartments above. Homes in Stone Creek start in the low 400’s. A private gated swimming pool, a 7 acre park, as well as numerous trails and a playground area are just a few of our amenities. We are close to Pilot Butte and there is a brand new elementary school close to home! Click for our site map.